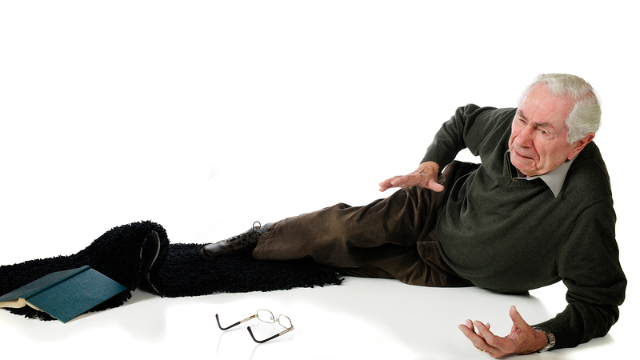 As individuals grow older, several changes occur that are considered risk factors for falling. These include decreases in balance, control of posture, muscle strength and changes in walking performance. For this reason, prevention strategies are needed to address these risk factors and lower the risk for falls in the elderly community. There are many exercise programs that are used to accomplish this, and the majority of them are based on aerobic training, which is effective for reducing fall risk factors. More recent guidelines suggest that other elements should also be included to increase the impact of these exercise programs, such as resistance exercises, which are used to increase strength. Despite the evidence available on aerobic and resistance exercises, its not completely clear if combining the two of them is any more effective than each one of them individually. For this reason, a powerful study called a randomized-controlled trial (RCT) was conducted, which is considered the gold standard used to determine the effectiveness of a treatment. Men between the ages of 65-79 who were medically approved for exercise were recruited for the study and screened to determine if they were eligible to participate. A total of 55 individuals fit the necessary criteria and completed the study. These participants were randomly assigned to one of three groups: the aerobic exercise group, the combined exercise group or the control group. Both exercise programs consisted of three sessions each week for 32 weeks and were planned for moderate-to-vigorous intensity. The aerobic exercise group trained twice per week in a land environment and once per week in an aquatic environment. All sessions consisted of a 10-minute warm-up, 30 minutes of brisk walking, 10 minutes of strengthening exercises and a 5-minute cooldown. The combined exercise program was the same as the aerobic exercise program, but one of the weekly land sessions was replaced by a resistance exercise session. The main part of this session consisted of a circuit of seven resistance-based strengthening exercises, which increased in intensity for the first 24 weeks and then decreased afterward until the end. The control group had no exercise intervention and was instructed to pursue their habitual daily life activities. All participants were evaluated using a number of tests before the study and then at weeks 1, 8, 16, 24 and 32. Results showed that both aerobic and resistance exercises on their own were more effective than no exercise for reducing risk factors for falls such as balance, posture control, mobility and leg strength; however, combining these two types of exercise interventions was actually even more effective for reducing these falls risk factors. In particular, the combined exercise program was found to be more effective for increasing agility, two types of balance, and leg strength and power. Although this RCT did not evaluate the actual risk for falls or fear of falling, these results do suggest that following this type of combined exercise program can result in an added protection for falls in the elderly community. Based on these findings, it appears that either an aerobic or resistance exercise program can be effective for reducing the risk of falls in older men, but combining both of them is even more effective and may serve an important role in addressing this significant danger.